Cell and gene therapies at dozens of companies in the U.S. are being developed at an impressive rate. The combined cell (CAR -T, mesenchymal stem cells, etc.) and gene therapy (viral [AAV, Lenti] and non-viral) sectors are expected to generate an additional 200 IND submissions (with 800 current) as early as 2020, according to a FDA estimate. However, these companies face ongoing challenges including adequate product characterization, new safety risks, and the pivotal need for reliable, plus cost-effective manufacturing solutions. Currently far less standardized equipment and methods or integrated automation is in use for cell and gene therapy product manufacturing, as compared with large molecule, biopharmaceuticals. 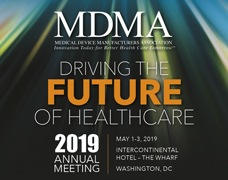 Six cell and gene therapy speakers, most from the Research Triangle Park, will present bioprocess development, manufacturing, and regulatory updates while also describing the potential to deliver unique, cell and gene therapies to oncologic, genetic, and rare disease patients in need.